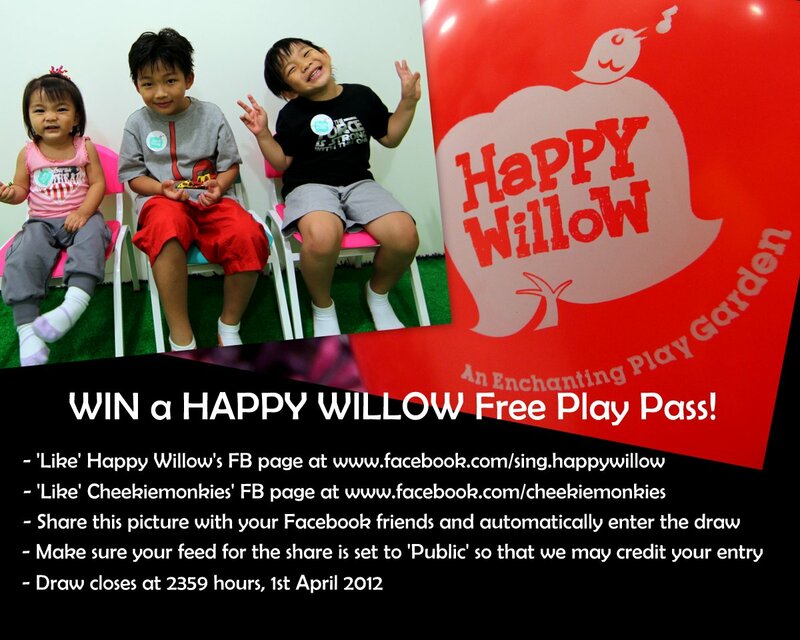 HAPPY WILLOW Free Play Pass GIVEAWAY! 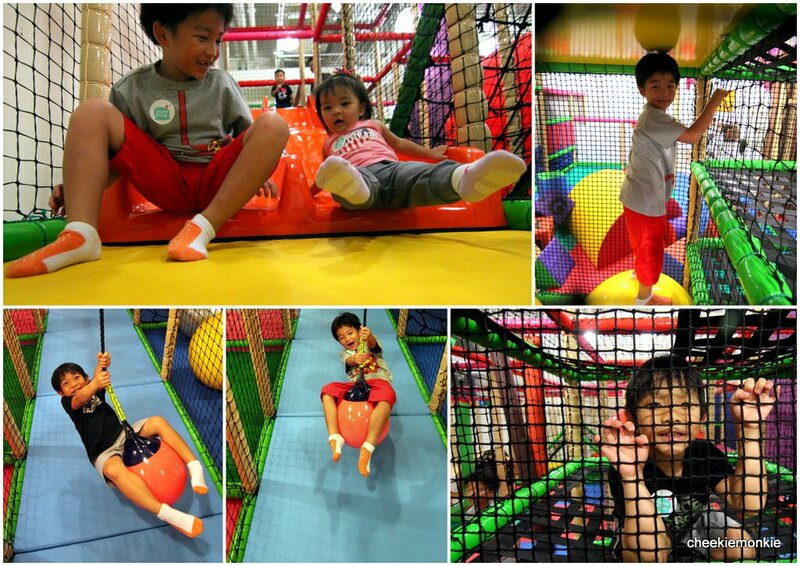 Remember the Happy Willow Indoor Playground we had stumbled upon at Fushionopolis 3 weeks back? Well, thanks to the kind invitation of Happy Willow's owners - Uncle Jason & Aunty Lyn - di-di, mei-mei & I were back over the weekend again - this time to have more FUN! And yes, mayhem is a by-product of fun. You can read more about our initial review about Happy Willow HERE. And on our second trip here, nothing has changed. We had even the same amount of, as Daddy puts it, yucky and mucky perspiration that plastered all over our foreheads. Mummy & mei-mei chose to do something more sedentary instead. While nibbling on the occasional fried popiah. 'LIKE' both Happy Willow's Facebook page and our Facebook page. And then, just hop onto our Facebook page at http://www.facebook.com/cheekiemonkies to share the photo above for a chance to win! Good Luck!